A few days back I came up with the article‘Essential Useful Blogging Tips For A Newbie Blogger’ that was out-and-out for the newbie bloggers who wish to make a successful blog. Hope my article did the real justice and helped the new bloggers to start their journey. Though the journey has just begin but if you follow the tips and tricks and work hard; your success is assured. I have been blogging for quite a while now and I pretty understand how important it is to know the factors that can lead to the success or failure of any blog. Starting the journey of blogging is easy, what makes you go in the wrong track thereby leading to the failure and incompetence in increasing the readership is the ignorance of what should done and what should be avoided. Certainly, most of you out there agree with me on this. Do you know what should be kept in mind while starting a new blog optimistically; the journey of successful blogging? Well, follow the tips and give a kick start. If you have already done that, then here I am with the 45 tips and tricks that will help you in taking the blog to the next level. With the optimistic approach and sincere hope that this article would help you take next step towards successful blogging here I start the list of tips to make your blog stand apart from the crowd thereby assuring success of your blog. 1) Catchy blog name : Blog name as I discussed in my article on ‘Essential Useful Blogging TipsFor A Newbie Blogger’ plays one of the major roles in the success of any blog. It becomes difficult for the reader to remember the lengthy domain names. Uninteresting, complicated, lengthy domain names should be totally avoided. 2) Blog logo : Spend some time and come up with the creative logo for your blog. I would rather say, keep it simple but give a creative touch to it. If you don’t have a good hand in logo designing, take help of someone good at it, ask someone else to do the needful. 3) Background color : While selecting the background color for your blog, don’t opt for the striking color. Background color should be such that it gives the visual appeal. 4) Make your blog easy to navigate : Simplicity does the trick! Keep things simple and easy to understand. Don’t expect everyone to understand complicated things which might appear easy to you. Look from the reader’s perspective and make your blog design such that it’s easy to navigate. 5) Regular posting : Make the work strategy, plan as to how many article you want to publish on your blog. Don’t take the updation of the blog forgranted. If your blog is not updated on theregular basis, you might loose the readership. 6) Advertisements : Google adwords, Microsoft Advertising give you the pay per clickadvertising options. Also, you can invest some money to advertise your blog on top blogs. Paid advertisements definitely help a lot. 7) Leave comments on blogs/site : Don’t consider ‘commenting on the other blogs’ as wastage of time. Leaving the value added comment on other top blogs of same niche will help you build strong links in the blogosphere and interacting with the co-bloggers indeed pays off. 8 ) Replying to the comments/question : Be well aware of the latest comments on your posts and if someone has asked question; make sure you reply back. Make the reader feel that the comments are appreciated and you value their time to read the article and comment. 9) Unique and Exclusive articles : The content generated by you on your blog should be unique and interesting. Catchy and interesting topic grabs the attention. Write about latest buzz and something reader would feel great to read about. 10) Your viewpoint matters : If you’re writing on daily basis, you surely at one point feel like shortage of unique idea. There might be many topics which you feel your blog should include but are already covered on other blogs. If you’re writing on some familiar topic, it is your creativity that will do wonders in giving it a new unique shape. Everyone has a different viewpoint! Come up with the write up based on your view point. 11) Proof reading before final publishing : While writing the article put aside your editor’s hat and keep writing in flow. Once you’re done with writing wear the editor’s hat and put aside the writer’s hat. Check for all gramatical mistakes, spellings mistakes and make sure the sentences, paragraphs are well connected. It is acceptable while you’re writing; there might be many mistakes but proof reading and checking before final publishing helps you generate quality content with minimal mistakes. To err is human. Once in a while there can be typos which the readers surely would ignore but try to go twice through the article before finally publishing to avoid mistakes. 12) Create lists : Ask me! Creating lists in no doubt interesting but at times I feel like stopping in between and dropping the idea of getting the article published but then I don’t and my urge to reach the completion keeps me going. Believe me; it’s truly worth the time and efforts. 13) Choosing the apt image : Visually appealing stuff catches the attention of all. If you’re making the lists, include the images. Tips and tricks, how-to articles do need more of writing than pictures but then you can’t under estimate the value of images and include the apt image that compliments your article. 14) Reader’s Involvement : Write in a catchy way to make your reader get engrossed. Try to get the reader involved. Ask them for suggestion or to drop in the comments. If you get the negative comments, accept them as the constructive criticism and work on the mistakes pointed. Knowing things from the reader’s point of view is undeniably helpful. Readers in-fact play the major role in the emerging of good writers. 15) Contests : Depending upon your blog niche, you can get the readers involved by coming up with some contests. Spread the word around and ask your fellow bloggers too to let other people know about the contest. 16) Include screenshots wherever needed : In how-to articles, tutorials, you just can’t go about writing and giving the detailed description instead take the screen shots of the steps included. This gives the clear idea of how actually someone taking the help from your article should go about stepwise. 17) Appropriate blog post length : Length of the blog post can vary depending upon the topic you choose. However, if the article is too short, the shelf value is definitely is lesser as compared to the articles of appropriate length. 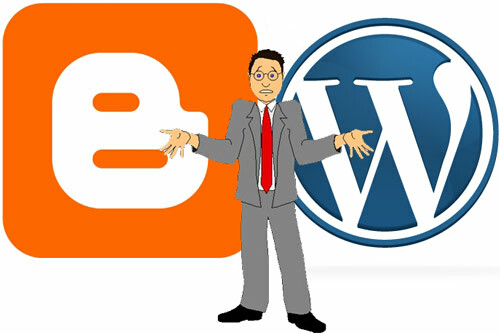 18) RSS feeds : All the major blogs include the RSS feed icon to enable the reader to subscribe to the blog feeds. You can use Feedburner service to burn the feed for your blog. Give option to get subscribed via email as well. When you create an account on Feedburner, you will have more idea about the number of people who have subscribed to your blogs. 19) Technical issues on other blogs : Let your fellow bloggers know if you notice some technical error on other blogs like 404 problem, page not found, broken links or any other design related issues. They will appreciate your efforts of sparing out time. 20) E-mail Signature : I’m sure all of you are well aware of e-mail signature. Write your blogname and url of your blog in email signatures. 21) Newsletter : Offering newsletter for your blog and asking people to subscribe to the newsletters will help a great deal. Newsletter subscription can keep the readers well aware of the latest updation on your blog. 22) Blog’s achievement and success : It’s good to let your readers know about the growth ofyour blog. Once in a while you should post about the success and achievements of the blog. 23) Add your blog on the ‘Blog Communities’ : In the blogosphere there is no dearth blog communities where you can add your blogs and earn good readership. Blog communities are like one roof that includes various blogs. People drop in to check out other blogs of same niche as theirs to get more information related to the latest updates. Blogged, FuelmyBlog, MyBlogLog, BlogCatalog, NetworkedBlogs are some cool blog communities. 24) How-to articles : At many times while working, we get stuck on something and here is where Google helps. One can simply check out by writing ‘How-to’ and further the query to come out of the problem. If your blog includes how-to articles and tutorials, it definitely has a good shelf value. News undoubtedly interests all but how-to articles have their own importance and can help people at any particular point where they get stuck. 25) Freebies : We humans tend to get attracted to free stuff more than the paid. Rather, I would say we avoid checking out stuff that wears the hefty price tag. While making the blog post, you should try to include stuff that’s available for free or comparatively lesser amount. 26) Facebook sharing : In today’s web world where facebook has surpassed the craze of the peer group social networking sites, we can’t underestimate the value of sharing on the facebook. You should make the facebook page for your blog and promote it well to make people know of the existence of your blog believe me if you do well promotion, the word will spread like the fire. 27) Be SEO friendly : Write the text in Search Engine Optimization (SEO) friendly manner. This helps a great deal in making the blog popular. 28) Accessorize your blog : The design of your blog should include all necessary accessories like About Us, Contact Us, categories. Don’t under estimate these small but important stuff while designing the blog. 29) Twitter sharing : Yet another latest buzz besides facebook is twitter. Make the twitter page and tweet your blogposts. Get the tweets done by fellow bloggers and do tweet the blog posts of others. Follow people on twitter and share your interests. 30) Future plans : Write about the future plans, hopes and aspirations of your blog. This way your reader gets the idea that you are not going on vaguely. You have the clear idea about your plans and what they can expect you to come up with. 31) Pings in comments : Expand your horizon. If you allow pings, trackbacks and real links in comments; your fellow bloggers will actually want to drop in the comments for the very same reason you would do on the other blogs. 32) Advertisement : Ads indeed are the good source of revenue but that doesn’t mean you should overload your blog with huge number of ads. Make sure right number of genuine ads are there on your blog. Also, take care of the placement of the advertisements. The ads should not be placed in the haphazard manner over shadowing of the blog posts. 33) Avoid unnecessary contacts : Each one out there is busy with work. Make sure you don’t annoy other bloggers with IM, email or by any such means. Contact them only if it really matters. 34) Avoid rude and harsh words : Well, this is what our parents keep telling us-”We should not be rude to anyone”. Same applies in the web world. You should totally avoid the rude words. Be humble! 35) Readable Text : Use headings, bold, italics and other means to make the text readable. Differentiate between various parts of the articles you want to highlight like headers, sub headings. Use the h2 tag for post headlines. 36) Guest articles on popular blogs of same niche : Well, this might sound awkward to take out time from your busy schedule and write for other blogs but believe me it pays off well in long run. Writing guest posts on other blogs of same niche will help you grow in terms of knowing new things in the blogosphere. This helps, readers know your name, your blog name thereby helping you in making your blog popular. 37) Change the blog design : Once in a while, changing the blog design can help. Good changes are always welcome but that doesn’t mean we can go about making changes every now and then. Come up with some good changes but not frequently. 38) Google Analytics : Sign up on Google Analytics and track the status of your blog. It offers a wealth of data to let you know the weakness of the blog and help improve. 39) Catchy headers with keywords : Use good keywords in your headlines. The headlines should be compelling enough to make the reader go about reading the complete article. Also, try to include keywords in your headlines. 40) Competitor blogs : Know your blog competitors and improve on your skills to meet the competition. Bookmark your competitor blogs and keep checking them to know and improve on your work. 41) Timeless blog posts : Try to write the articles that don’t become stale in a day or two. Timeless blog posts like how-to’s, tutorial, listings have good shelf value. 42) Get social : I have already mentioned facebook sharing, tweeting and registering on blogging community. The list doesn’t end here, there are many social networking sites that you can sign-up in and share your blog posts. If you have something to sell and people don’t know about it, you can’t actually make good business. Same goes for the blogs. If you have some decent post which you feel can be shared, upload the same on the social networking sites. It’s like making people aware of the existence of your blog and the latest updation on the blog. 43) Get inspired : Read other blogs for inspiration. Take some time out of your schedule and read the other blogs. Read as much you can. Reading is the fuel and inspires a lot. 44) Don’t give up : This is one rule of life that implies in almost every field. In your journey as a blogger, you will come up with many ups and downs but one thing that you should remember is-”Path to success is not easy and you should never give up”. 45) Be yourself : Last but not the least the best mantra for success in your journey of blogging. Give your point of view, not what others think. Be yourself. To wrap up, the journey of successful blogging is not hard. You simply need to know what you’re doing, have clear idea of the blogosphere and follow the tips and tricks listed above. Feel free to share your views.